Smells great, but dull after taste. Makes me wanna try something else. This was on the back shelf of our resort stay in Punta Cana. Deep, amber colour with mild aromas of honey, herb and alcohol. Decent body with little alcohol burn. Would have enjoyed the chance to savour from glass and time, but only had access to a plastic shot glass. I have a sealed bottle in the collection, so now I know it's at least worth the shelf space. ...personal taste, but also not bad at all. I’ll buy another bottle when time comes. The new design with the net around the bottle and the waxed closure is pretty cool! Harsh burn to the nose. Quite sweet, almost sour scent. The sherry comes through strong. Very smooth, little light in flavour. Vanilla and a mild whiskey taste, likely from the casks. Unfortunately not so good as Brugal Leyenda, maybe I am too sentimental, but still recommended spainsh style rum. 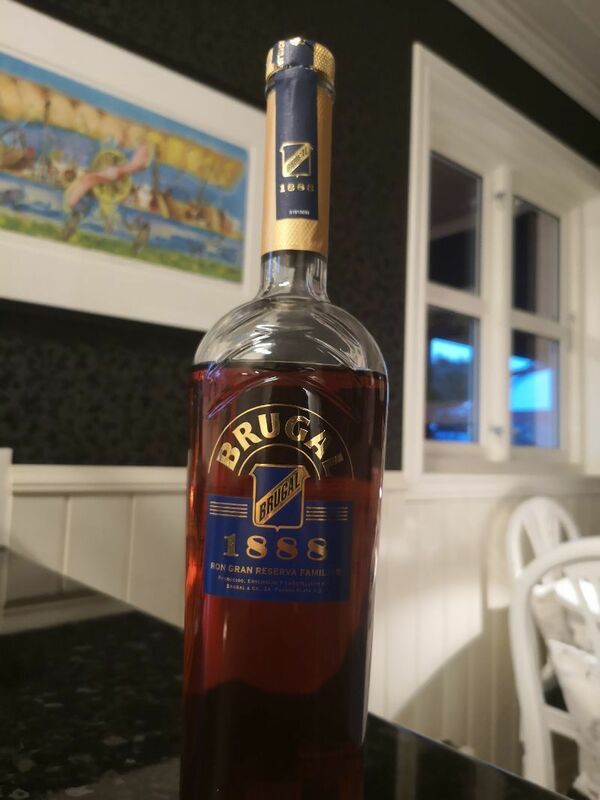 Those brugal rums are simple in taste, without many fruit flavours, but this works totally in Brugal Leyenda due to its smoothness, however 1888 for its price could have been better, still I think it is one of greatest rums I've tasted and best one from brugal right after Leyenda. With a limited selection of rums where I live it is nice to see this stuff pop up for sale at the government liquor store. It goes for $33 USD. Easily the best rum in the price category for me personally. Brugal is a Dominican brand with a rich history. Their master distillers know what they are doing! the cheap rums from them are unfortunately quite woody, but the 1888 is very rich and sweet from the sherry casks! I suspect added sugars as well though.. None the less I have an older edition bottle saved in my cellar for my senior years. nose is soft and sweet, vanilla citrus and ocean spray. maybe bit of maple and plum? nice light caramel coloration, and the nose matures in a cognac glass nicely. flavor is sweet cherry and plums with spices, citrus and caramel.. very pleasant. A nice sweet option from the Dom. Rep.
Jasný rukopis, musím uznat, že verze 1888 je mnohem lepší než anjeo, ale stále je to Brugal. Už to není lak na rakve, je víc zakulacený, ale lihovost je tam stále. Dávám 7+ protože vůně je na 9 bodů. I wasn't sure what to expect after opening the bottle and taking a sniff. It was unlike most rums that I've had. I could sense it's dryness and oak aromas and was curious as to how they would come across. Once poured and sampled. I tried this 3 different ways. Neat, chilled with a touch of water, old fashioned. I liked all three ways. The rum by itself is not overwhelming or harsh in any way. The oak cuts the sweetness without leaving it too dry. The mouthfeel reminds me of what roasting a marshmallow over an open flame smells like, except in liquid form. Very engaging, very impressed! Having rated Brugal Anejo as the only rum worthy of a 1 star rating, I was curious about this one after reading so many rave reviews. Being that I do not like my rums aged in sherry or port or Madeira casks, I figured that I would not like this one. So I went to a well stocked rum bar today and ordered 5 pours of a half ounce each. This one is light years better than that awful Brugal Anejo, but the smooth taste going down is almost ruined by the sherry after taste. It is not quite enough to be annoying, but it is just not to my liking. I did finish my entire pour on this one, but it landed in the exact middle of the five rums that I tried. 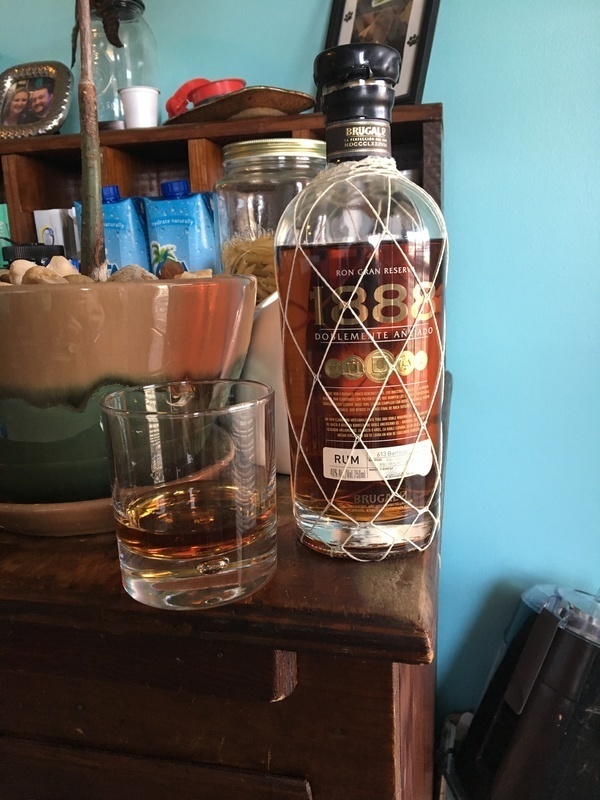 I won't be wasting money on an entire bottle of this one, but if you like sherry finish on your rums, then by all means go for it. The DR did right by this rum. Extremely smooth with exceptional flavors. Not overly sweet, but just enough. Great for a night with friends. J'ai acheté ce rhum au duty-free lors d'une déplacement, je ne connaissais pas et je n'avais pas internet pour avoir un avis dessus. Pas du tout déçu, j'aime les rhum pas sucré et celui-ci ne l'est pas. Only a bit sharp at the beginning, but smooths out. Notes of vanilla and cinnamon. Pleasant enough with dried leafy, raisiny flavors with a hint of caramel. A mild spice on the tongue and a sight burn in the nose it makes a fair sipper. 8 με 9 ..... Ωραίο ρούμι !!!!! Τόσο γλυκό όσο πρέπει με μακρυά επίγευση καραμέλας χωρίς όμως να είναι πολύ γλυκό όσο άλλα ρούμια. ( θετικό) και ωραία μύτη. Σίγουρα πάνω από 8 ........ Άπλα ίσως να έχω επηρεαστεί από την πολύ ωραία χτεσινή παρέα που μπορεί να απογειώσει τις αισθήσεις αλλά και οποιοδήποτε ποτό πίνεις. !!!!!! Επιφυλάσσομαι για διόρθωση της βαθμολογίας (προς το καλλίτερο) !!!!!!!!! !